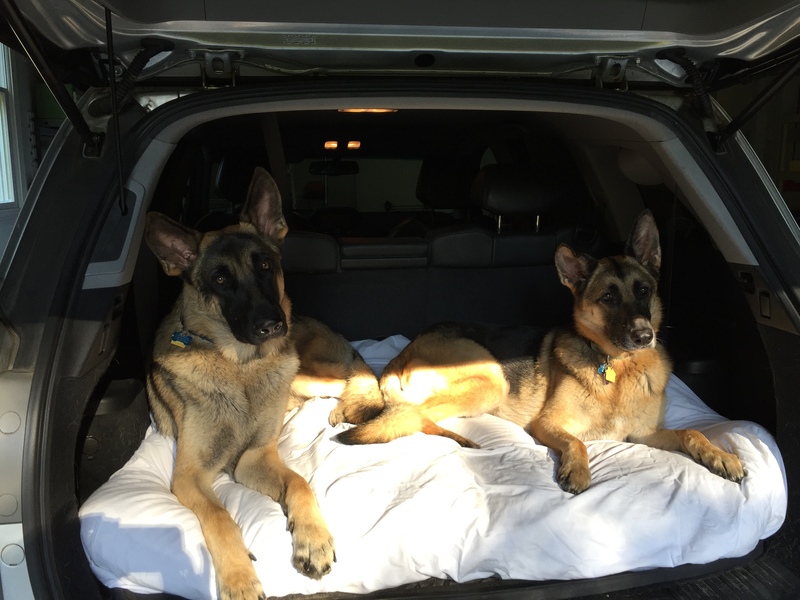 Most dogs are all in when it comes to going for a ride in the car, but something they love even more is getting together with their furry friends. If Maria Proto’s project continues to move forward at its current pace, her German Shepherds, Chase and Shadow, along with other dogs who reside in Weston, will soon have less drive time and more playtime. Maria was nominated for the Yankee Institute’s Unsung Hero Award because of her hard work and leadership of a non-governmental approach to creating a dog park for her community. Earlier this year, while taking the furry children to a neighboring town for a romp, the Weston resident had one of those eureka moments. Instead of driving Chase and Shadow to Ridgefield, Newtown or Easton for a little exercise and socialization, wouldn’t it be nice to have a dog park closer to home? This prompted Maria to post on a town Facebook page and ask if any Weston residents might be interested in having a designated park for dogs. “I immediately had about 50 responses,” she said. And interest continued to grow. This is good news for the town of Weston because creating a dog park can come with a hefty price tag. When the city of Mt. Pleasant and Union Township looked into the cost to build a dog park, the price tag ranged from $141,000 to over $300,000. Instead, Maria’s group offered to fundraise up to $40,000 and apply for grants if the town would donate a piece of land. An important piece of advice that Maria offers to others who want to start a similar project in their own city or town is to take an initial pulse of the community. First, find out if there’s sufficient interest among residents. The next step is to reach out to other towns with dog parks and find out how they started. Maria admits that she was unsure of the processes and procedures for working with her town officials, but she asked a lot of questions, was methodical and diligent – and tackled the project step-by-step. Quick to point out that she is not in this alone, Maria and four other board members formed a not-for-profit 501 (c)(3), The Weston Dog Park Committee. You can follow their progress at www.westondogpark.org and on Facebook. It’s a safe bet that Chase, Shadow and other Weston canines will agree with the “fun” part when they’re hanging out together next summer – at their new dog park.